David Constine is a Linguistics major and history minor at Haverford College. He grew up in Arlington and will forever hold the Virginia county dear to his heart. His fascination with the past has creeped into many of his interests, including a love for historically informed musical performance and a burning passion for a 16th century renaissance wind instrument called the crumhorn. 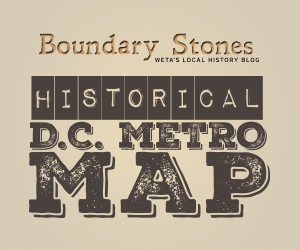 At WETA, he hopes to uncover the obscure and forgotten though rich stories of the D.C area's past. Few would believe that Arlington County once contained its own Little Italy – and few would recognize it if they saw it. Unlike the prototypical image of urban markets and crowded apartments, what Arlingtonians once referred to as "Little Italy" (or "Little Sicily") was an isolated makeshift village occupied by Italian quarrymen and their families on the banks of the Potomac, accessible only by footpath.